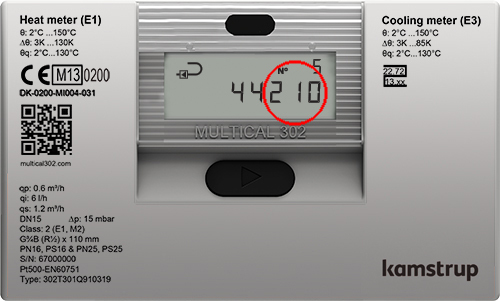 Here you can see how your meter works. Find out with which DDD code your meter has been programmed, and find it on the list in the menu to the left. If you want to add the guide to your own home page, click here to see a description of how to do this. We hope that you will enjoy the product and have a pleasant time. The DDD-code is displayed as the last three digits under the index number 2-11-06.